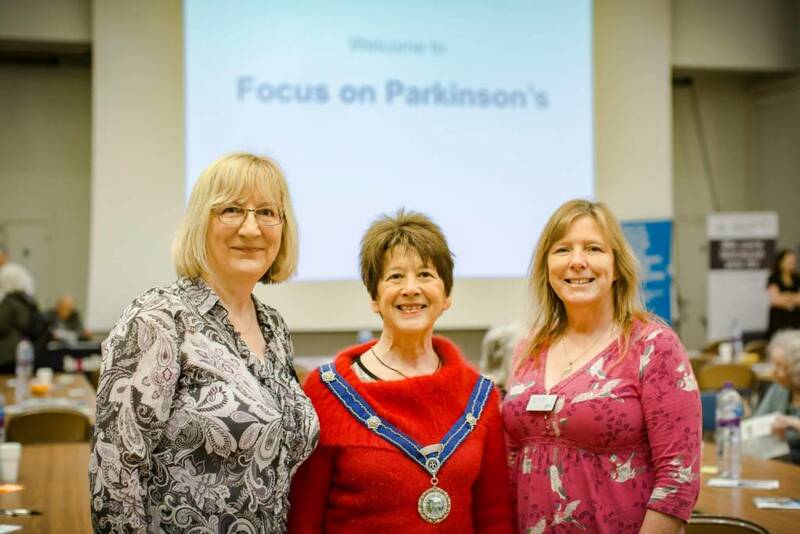 Last Friday, the Mayor Cllr Alex Kay popped into see the organisers of the Focus on Parkinson’s event which was held at St Margaret’s Hall, Bradford on Avon. The event attracted over 100 people, all interested to find out more about what’s new in Parkinson’s research and how this will affect the future of care and treatment; vital information for anyone affected by the condition, whether directly or as a family member or carer. After a drop-in session with information stalls, a buffet lunch was held, and attendees were able to meet each other and chat to experts. A presentation followed by question and answer session was then given by Dr Camille Carroll, the National Specialty Lead for Neurodegenerative Diseases for the Clinical Research Network & South West Parkinson’s. If you live locally and are affected by Parkinson’s, there is a regular Parkinson’s Cafe on the 2nd Thursday of each month 10:30am – 12noon held at Wiltshire Music Centre.